Exciting things are happening in the Westerly music room this year! Teachers Susan Geiser and Niko Giaimo are working together to present fun, dynamic, and diverse instruction in general music, vocals, theater and instrumental music. 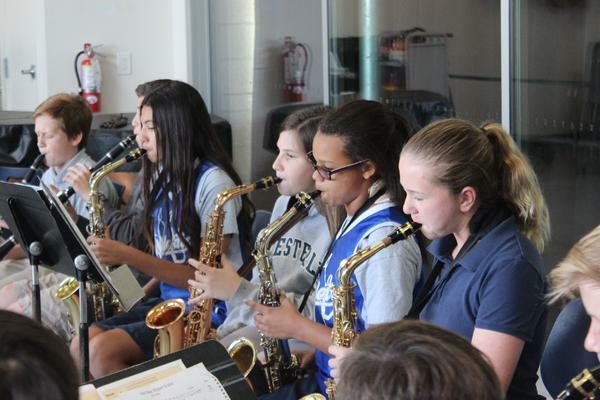 The curriculum ensures that Westerly music students achieve the California State Standards for Visual and Performing Arts. In their earliest years at Westerly, students receive regular general music instruction throughout the week using both the Kodaly and Orff methods. Instruction is highly interactive and students will explore music using their voices, classroom instruments, Orff instruments, active listening, physical movement, and theater exercises. In third grade, students begin their instruction in instrumental music with the recorder. 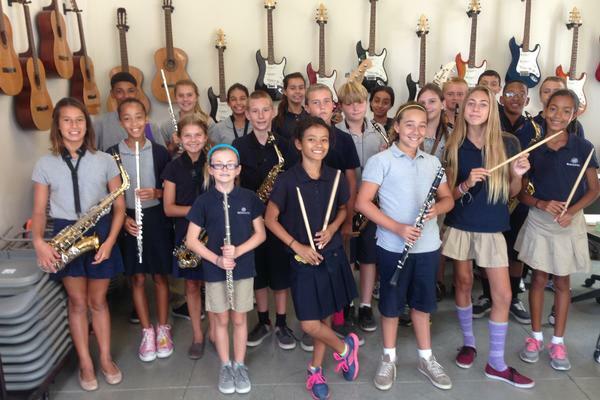 In fourth grade, students expand that learning by taking an introduction to woodwinds class. Students learn three instruments (flute, clarinet, and saxophone), and rotate instruments each trimester. The goal is to instill a love of instrumental music and to reinforce more technical concepts (written notation, rhythm, playing in a group). In fourth and fifth grade, students have the chance to experience the joy of live performance by participating in a fully staged musical. Students are cast in the show and learn blocking, music, and choreography. 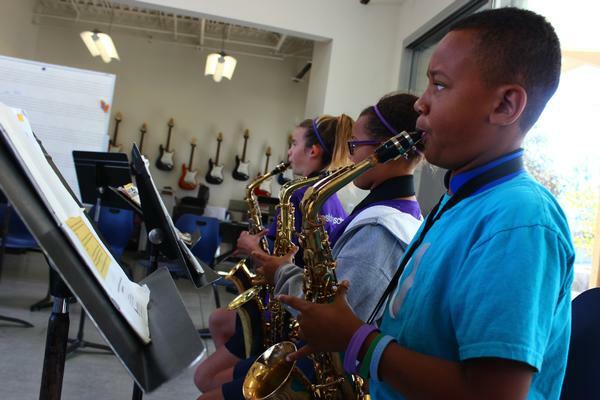 Students also continue to grow their instrumental skills, with classes three times per week. 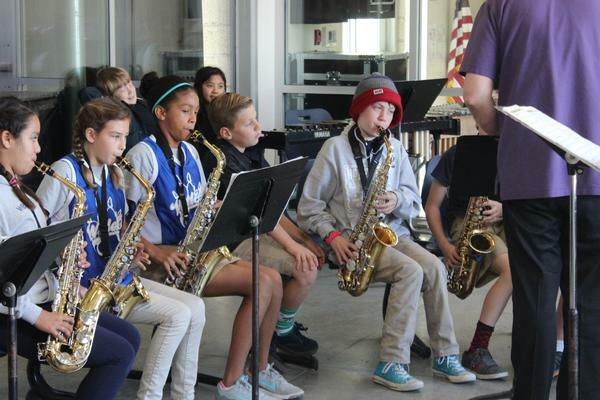 In both fifth and sixth grade instrumental music programs focuses on learning songs chosen by the musician and a variety of musical styles paralleling their core curriculum topics (history, math, civics etc.). They also learn the theory, scales and proper technique necessary to feel confident playing their instruments. Seventh and eighth grade students have the choice of signing up for either chorus/general music or band. In chorus, students learn about their vocal instruments and learn repertoire from a wide variety of genres (pop, folk, classical, Broadway, etc. ), performing in two concerts (winter and spring). In band, the musical spectrum broadens, adding more challenging arrangements and instrumentation. This class will also prepare musicians for high school music programs and provide an insight to careers in the music industry. Band meets three times per week.